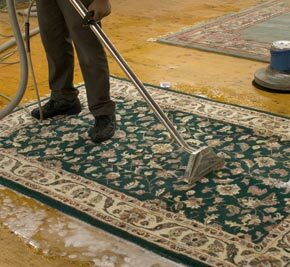 We’ve put together a list of the top on-site and off-site rug cleaners in the Melbourne area. Member of the Australian Carpet Cleaning Institute. IIRC Certified Technicians. Yellow Brick Road are a specialist carpet, rug and tile cleaning company with over 14 years local experience. They use a 9 step-deep cleaning system to bring life back to dirty, dull or damaged rugs (including oriental, Persian & wool). With a team of trained technicians, attention to detail, a convenient door-to-door service and the latest rug cleaning equipment you’ll soon see why Yellow Brick Road has a reputable for quality and service. Jena’s Carpet Cleaning have over 15 years experience in on-site carpet and rug cleaning. Servicing all areas of Melbourne they can remove stains, steam clean your rug & protect your rugs from further wear / damage using natural products. Steamy’s Cleaning & Restoration has been servicing commerical and residential clients in the Melbourne Metropolitan area for over 17 years. Their professional team provide a cost-effective deluxe six step rug cleaning service which include pre-vacumning, pre-conditioning and a deep cleaning using hot water extraction machines. 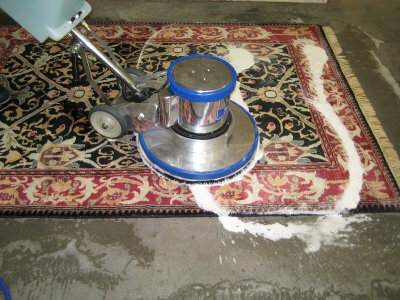 Superior Carpet Care provide a complete rug, leather, tile and upholstery & carpet cleaning service to suburbs in and around Melbourne (same day service available in most suburbs). A family owned and operated business since 1972, the friendly professional team at Superior Carpet Care know how to get your rug clean using specialist truck mounted machines and eco-friendly products. Outdoor Cleaning Services Now Provided: Take a look at our verified Melbourne window cleaning companies and featured gutter cleaners. Not many rug cleaners can match the training, attention to detail & commitment to service that the team at Yellow Brick Road provide. At their dedicated rug cleaning facility they use the latest machines, processes and products, along with their unique 9-step cleaning process to clean, brighten and protect all types of rugs. 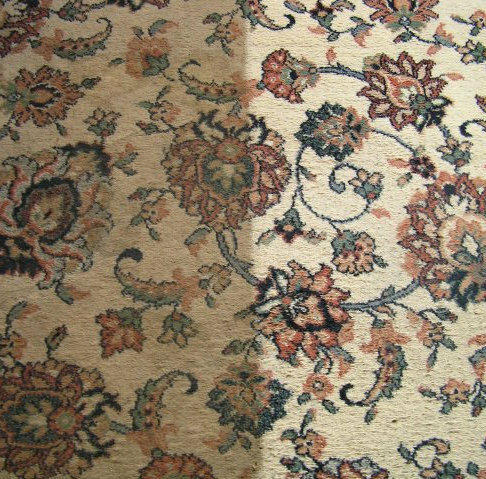 Don’t risk damaging your rugs, choose a specialist cleaner who has the required tools, equipment, training and experience. Established in 1997, Yellow Brick Road have grown to become of one Melbourne’s leading carpet, rug and upholstery cleaners with thousands of satisfied clients (many of them repeat bookings). They are members of the Carpet Institute of Australia, accredited by the IIRC, & clean to beyond the AS/NZS:3733-1995 standard. Should you hire a professional Melbourne rug cleaning company or DIY? No-one likes spending money when they don’t need to, and if you could achieve the same results as the professionals we’d happily recommend cleaning your rugs at home, but unfortunately you can’t. A skilled, experienced and trained carpet/rug cleaning technician will use years of experience, commercial grade equipment and cleaning products to make your rugs look, feel and smell fresh and clean. Whilst vacuuming can remove some dust & dirt, however it leaves behind deep-down dirt, stains, mites and other nasties which have been shown to affect the quality of the air in your home. Good News! Getting your rugs professionally cleaned can actually SAVE you money as regular cleaning has been shown to increase the life of carpets and rugs. Most companies will also offer rug protection services, which usually involves spraying a special chemical (most businesses now use environmentally friendly products – but always ask to make sure) that protects the fibres of your rug and helps it stay looking clean for longer.